So called Tiger Cave is amazing mandapa – rock-cut shrine or most likely – platform for other religious rituals, resembling a pavillion. This artwork does not show tigers but yali (vyala) – mythical, extremely powerful creatures similar to lions. Thus in this respect the more correct name of this monument is Yali Mandapam. Yali Mandapam is located just 150 m from the sea, protected from salt-laden sea breezes with groves of trees. In earlier times the sea was further away – this is evidenced by nearby findings of ancient temples under the sea level. 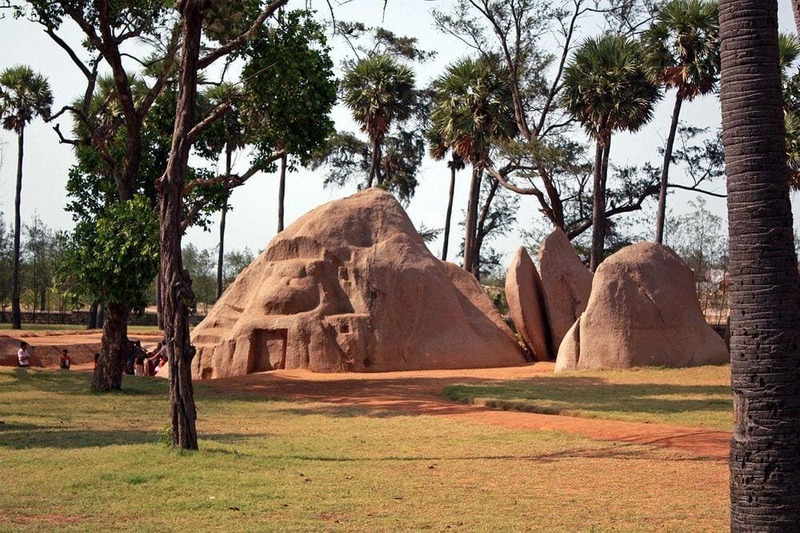 Sea side plains around Mahabalipuram are dotted with enormous boulders and hillocks of diorite – extremely hard igneous rock. In the times of Pallava dynasty – in the late 7th – 8th century – artists created numerous amazing, bold artworks in this material – as if it was soft as a cheese. Among these unique monuments Yali Mandapam is very special. This diorite hillock is adorned with 11 enormous heads of yali surrounding something that resembles an entrance in the temple. Heads at both sides look inwards, while the heads above the "entrance" look straight ahead. Each of heads has its own shape with slight differences. This "entrance" is accessed with a flight of steps – and – ascending it one reaches empty, flat surface of stone flanked by two roaring lions. 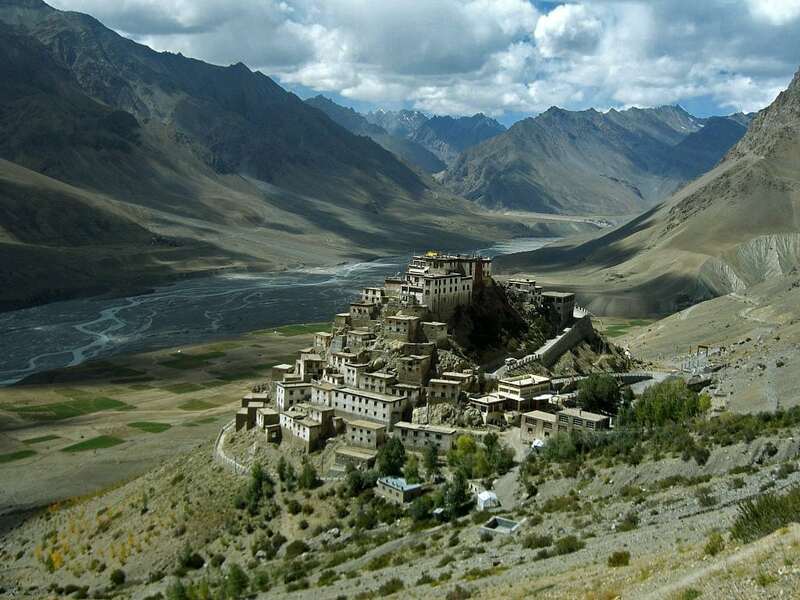 Most likely this location was not a temple – but it is a good place to examine surroundings. Guesses have been made that this spot was used by a king witnessing some festival. Or maybe here was located some processional deity (utsava mandapam)? Divided with a cleft, to the left from this unique sculptural group are other surprising elements – 2 sculpted heads of elephants with cells above them. These sculptures resemble traditional decorated seats on real elephants. Inside these cells are seen sculptures of unidentified deities with four hands. Next, to the left from elephants, there is sculpted a beautiful, unfinished galloping horse. To the right from the yali heads, there is roughly carved a lion with a niche in belly – most likely unfinished sculpture. In the front of Yali Mandapam there is a depression – sometimes during the monsoon, it is filled with water. Some consider that Yali Mandapam is dedicated to Goddess Durga – according to legend, this is the place of the mythical battle of Goddess Durga and the evil Mahishasura. But there is no clear link to Goddess Durga evidenced – most likely this assumption has been based on the fact that yalis are similar to lions. To the south, in Mahabalipuram, next to the famous Shore Temple is another "tiger temple" – smaller, unfinished structure. There are guesses that this smaller sculptural group was a testing ground for the magnificent Yali Mandapam. Few hundred m from Yali Mandapam is another, true rock-cut shrine – Atiranachanda Mandapam. 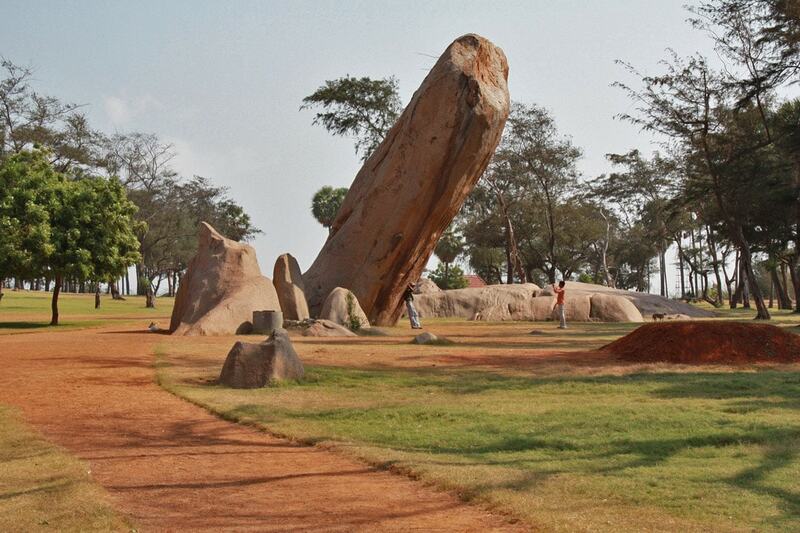 Other important places in Mahabalipuram, Mahabalipuram – Dream of Stones. Accessed on April 13, 2010. Mahabalipuram, Indian Heritage. Accessed on April 13, 2010. The Saluvakkuppam Complex, Tamil Heritage. Accessed on April 18, 2010. 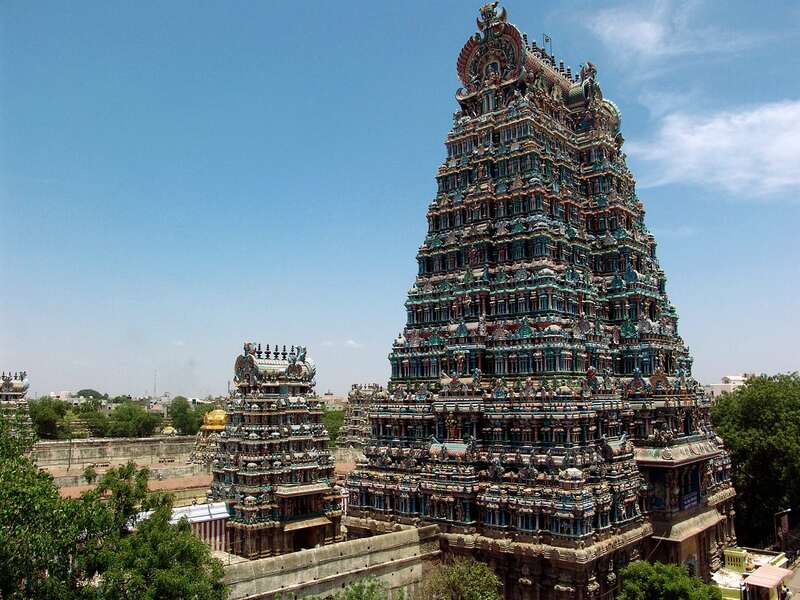 The huge temples of Tamil Nadu are justifiably famous. Through history and forty-four original photographs, this book explains how the temples came to be and what their statuary symbolizes. The book also paints a picture of what life was like in the civilizations that built them. Built in 700 CE by the famous Pallava king Rajasimha, Mahabalipuram is a unique monument where art form combines with religion and legends. 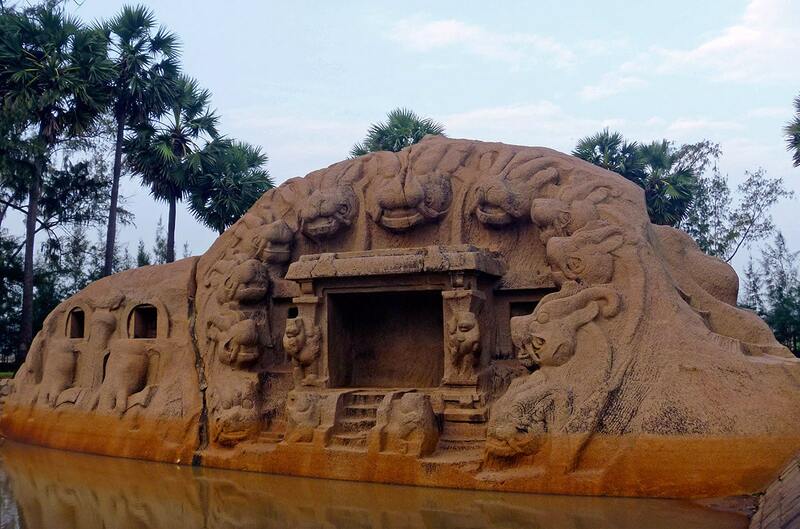 Also known as Mamallapuram, it showcases the best of Tamil art and architecture. The beauty of the monument is further enhanced by its location on the shores of the Bay of Bengal, the latter significantly influencing the creations. Part of the prestigious Monumental Legacy series, this book presents a graphic account of the site and its monuments-mandapas (cave temples), rathas (chariots), open air bas-reliefs, and structural temples.